I’m passionate about the misinformation abounding on the use of homeopathy, we need to educate people on this powerful form of alternative medicine. Often in alternative medicine, topics of homeopathy and other methods are misunderstood and misrepresented in the media. This causes individuals to have misinformation that could make them disregard a valuable healing tool. I in no way dissuade my clients from other healing methods, I myself offer many in addition to homeopathy. I do believe homeopathic aspects are often not clearly defined for those not a part of the homeopathic community and we as homeopaths need to focus on educating the public. The most recent misrepresentation of homeopathy that has been brought to my attention is surrounding the use of nosodes in homeopathy. I'd like to be clear, this article isn't about whether or not I agree with vaccines, it's about the misinterpretation of homeopathic nosodes as being the equivalent of a vaccine - which they are not. I feel it's important for those who aren't homeopaths to understand the current controversy over nosodes isn't taking into account the true nature of this form of homeopathic. Nosodes are not a 'vaccine alternative'. It is my hope this article offers a deeper understanding for you to make a more informed decision. Today I received an email from a client in Canada asking if she should take a nosode instead of a vaccine. A nosode is a form of homeopathic made from diseased tissue which is diluted to it’s essence (as is all homeopathy, none of the actual tissue remains AND the properties of healing are enforced through the dilution process making the homeopathic medicine a form of essential energy medicine) used to cure deep disease layers, a complicated science that seasoned homeopaths often use properly and consciously for everything from psychiatric disorders to hormone disorders to physical diseases. I myself have found them invaluable. I’ve taken them myself at times – one actually assisted me in curing my own bout of nervous system lyme disease in 2002 (with three doses). I have no doubt of the effectiveness of nosodes when used properly. This note from my client was disconcerting for two reasons: because homeopathics are not vaccines and the public is being misinformed on their usage; and because a group of people are trying to say nosodes are dangerous because they don't understand them. To add to this story, my client sent me a link to a Canadian website trying to eliminate the use of nosodes in Canada because they state ‘homeopaths and alternative practitioners’ are using them as vaccine alternatives. So now we have misunderstanding on misunderstanding. Nosodes are powerful curing agents for disease when used properly. To take them off the market because a few people are misunderstanding their use is ludicrous. Truly. It’s like saying some people are eating soap and rather than showing them how to use it properly, we should eliminate all soap because it may be misused when soap can be very beneficial as a cleaning agent. As classically trained homeopaths, we treat SYMPTOMS, we rarely try to pretreat (there are some caveats here but it would be too much to explain in a brief article). For example, rather than give someone a flu vaccine, I would in most cases wait and see if they actually get the flu and then treat the system if they get symptoms. While this may seem alarming in our society that is taught by pharmaceutical companies to be afraid of everything, I believe vaccinating a healthy immune system may limit one's own vital force by creating a new map in the system and overriding the individual's innate ability to cure disease. If I have ten people in a room and 5 have a very strong vital force, those five probably won't get the flu and the others may or may not. Allowing someone to get sick can be good for the health as well as it allows their own immune system to develop a map for clearing the illness making it less likely they will get it later. As a homeopath, I treat the symptoms when the vital force calls for help rather than pretreating to prevent something that might never happen. In a society so trained in insurance and precaution, I do understand the thought process of vaccines, I don't as a homeopath practice from the same viewpoint. I DO however honor and completely respect those who choose vaccines. We all walk our own path, it's not for me to judge others, rather, to offer what I know and can as a healer when it's requested. That isn't to say homeopathy has never been used in a preemptive way. It's not a black and white science so we look at each case individually. Outbreaks such as scarlett fever may warrant some precursor homeopathy, but these are special cases and very dependent on whether we could cure the disease quickly without pretreatment should and outbreak occur. There are differences in belief systems here in the homeopathic community as well so this would be a long discussion, back to the topic at hand. To make a general statement that a homeopathic nosode is the equivalent of an alternative to a vaccine as a preventative form of medicine is to misinterpret the science of homeopathy. This is in no truth to this claim of a one to one relationship of homeopathy = vaccine. The two forms are different at their essence AND in their effectiveness and action. In fact, as a homeopath, just like we believe the use of vaccine can for some harm the vital force, the misuse of homeopathy when it's not needed (ie. pretreating when there are no symptoms) can cause a weakened vital force to further weaken. I recall myself a case of a client with chronic lyme disease who was told to take the flu vaccine but wanted a 'healthier option'. This was before we worked together and she went to a naturopath who put her on a nosode as a 'vaccine alternative' for two weeks. She came to me 10 days in, sicker than she had ever been and so weak she was afraid she may lose her life (the fear being a symptom in itself from a homeopathic perspective). While homeopathy does for some have a healing aggravation period, this was clearly misuse of the nosode and it took months for this individual to regain her strength (with proper homeopathic treatment). CONCLUSION: The main issue in this controversy is the way that nosodes are being misinterpreted and at times misused. Rather than eliminate the use of this powerful medicine, people need proper training and the public should be educated on how homeopathy can and does cure disease. I agree, nosodes should only be used when used properly, not as an alternative to vaccines, but as an agent to cure disease. Homeopathy has saved many, many, many lives, including my own on more than one occasion, and it’s time to stop the misinformation and start with the healing. 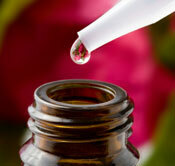 Homeopathy is one of the most effective, least expensive and available methods of medicine in the world. I hope this article helped to clear up some of the confusion. For anyone interested in learning more on homeopathy, feel free to contact me. Also see my other website with more information on classical homeopathy. I also now offer my Introduction to Classical Homeopathy Course on CD.